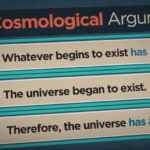 After writing about the incredibly high stakes concerning the existence of God, in addition to the strong Cosmological Argument for God’s existence, it seems like a good time to introduce the Fine-Tuning (or Teleological Argument) for the existence of God (skip to video here). There is no shortage of scientific evidence for the incredible appearance of design. Few doubt that the entire universe seems fine-tuned for life with incredible precision. Roger Penrose of Oxford University has calculated that the odds of that low-entropy state’s existing by chance alone is on the order of one chance out of 1010(123), a number that is so inconceivable that to call it astronomical would be a wild understatement. Astrophysicist Hugh Ross has calculated the probability that all of these finely-tuned constants would occur in any life-permitting planet purely by chance. If there are 1022 planets in the entire universe, the chances are a whopping 1 out of 10138.4 Such chances are truly incredible. 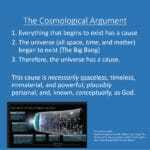 According to Dr. Craig, there appear to be only three possible explanations for the incredible fine-tuning of the universe. And, Intelligent Design appears to be, by far, the most reasonable explanation. 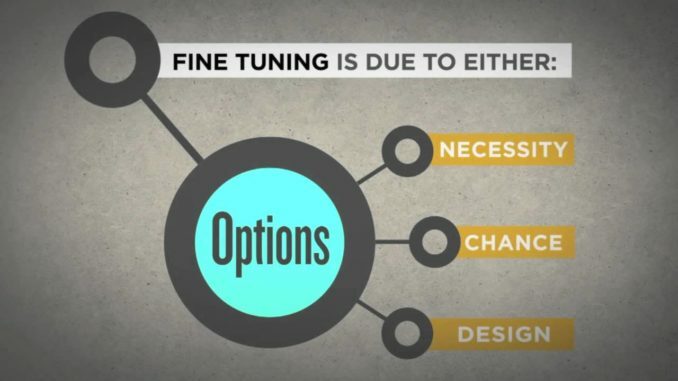 Watch Dr. Craig’s engaging animated video below for more details on the Fine-Tuning Argument and responses to common objections. Craig, William Lane. On Guard: Defending Your Faith with Reason and Precision (Kindle Locations 1728-1729). David C. Cook. Kindle Edition. Norman L. Geisler and Frank Turek, I Don’t Have Enough Faith to Be an Atheist (Wheaton, IL: Crossway Books, 2004), 105. Norman L. Geisler and Frank Turek, I Don’t Have Enough Faith to Be an Atheist (Wheaton, IL: Crossway Books, 2004), 102. Norman L. Geisler and Frank Turek, I Don’t Have Enough Faith to Be an Atheist (Wheaton, IL: Crossway Books, 2004), 106. “The number of seconds in the entire history of the universe is around 1017 (that’s 1 followed by seventeen zeroes: 100,000,000,000,000,000).” Though the more recent video says 1020 Craig, William Lane. 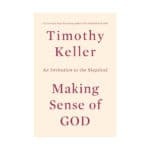 On Guard: Defending Your Faith with Reason and Precision (Kindle Locations 1731-1732). David C. Cook. Kindle Edition. Craig, William Lane. On Guard: Defending Your Faith with Reason and Precision (Kindle Locations 1731-1732). David C. Cook. Kindle Edition.